Ogilvy was chosen from among a dozen competitors that submitted bids for the project. 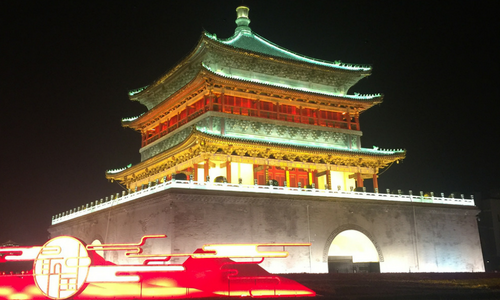 As the historical starting point for the ancient Silk Road, Xi’an today sits at the forefront of China’s massive Belt and Road Initiative, making the city poised to serve as an economic, cultural and transportation crossroads for Asia and beyond. But while Xi’an’s ancient history is known to many – its terracotta warriors are among China’s most famous cultural treasures – its rapid development as an economic and technology hub is less widely known. This project undertaken will seek to spread awareness of Xi’an’s multifaceted offerings as a city both ancient and modern, traditional and dynamic. The communications project targets a wide range of audiences spanning continents and cultures, but all linked by their key roles in the Belt and Road Initiative. Markets to receive particular focus include North America, Western Europe, Southeast Asia, Central Asia and Africa. With its global reach and strong belief in localization, Ogilvy is uniquely positioned to carry out this ambitious project. Deloitte Digital’s regional launch: What does this mean for the industry? The move comes at a time the likes of Accenture Interactive, McKinsey Digital and other direct competitors are upping the ante. Is..
Over 90% of Mainland visitors said they will return to Hong Kong again within the next 12 months but Hong Kong is facing a tough c..